Joost was the founder in 2002 of MD Hotel Investments, a succesfull niche hotel corporate finance advisory based in Amsterdam and the co-founder of European Hotel Capital, a private equity international hotel fund. 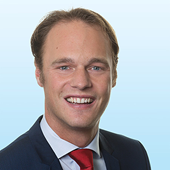 Since June 2013 Joost joined Colliers in Amsterdam as Director Hotels and specialised in hotel developement advisory, operator search and hotel financing. Established over 800 million Euro on transactional services. Most interesting hotel developments are the conversion of an office building in Amsterdam to a 446 rooms Apollo Ramada and the development of the award winning citizenM in Rotterdam. Interesting current hotel assignments (Advisory, Operator Search and Selection and Sale) are The Sax in Rotterdam (160 rooms), Yotel in Amsterdam (204 rooms), The View (220 rooms), Aloft Leidsche Rijn (210 rooms), Aloft The Hague (170 rooms). After completing my Bachelor in Business Administration at the Hotel Management School in Maastricht in 2010 I have lived and worked in London for a year. At the time I was responsible for the (pre-)opening of a new catering facility for the Emirares airline. After a year, in 2011 I decided to get back to the university to complete my master studies Finance and Investments at the Vrije Universiteit Amsterdam. In 2013 I graduated as a MSc in Finance and Investments and directly started my career as a M&A consultant at Marktlink Mergers and Acquisitions. At this firm I have worked for 3 years and I've been involved in many transactions most of them in he staffing industry and machine factory industry. In june 2016 I joined the Colliers EMEA hotel team as a Manager Hotel Investments. The last couple of years I was involved in a great number of hotel transactions and consultancy assignments. After completing the Msc. Financial Management at TIAS Business School, Vincent started working as fund accountant at Citco Fund Services. Here Vincent was responsible for the periodic calculation of the Net Asset Valuations (NAVs) of various hedge funds. After 1.5 years getting aqcuianted with the accounting profession at Citco, Vincent continued his professional carreer at KPMG Management Consulting. Here Vincent worked for 5 years as Financial Advisor. His areas of expertise where: Financial Modelling, Data Analysis and Process Decomposition. He was an active member of the KPMG Hospitality team and was closely involved in various 'Finance Transformation' projects for larger European hotel chains. 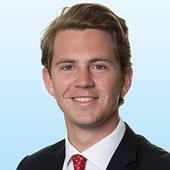 As of October 2017, Vincent is part of the Hotel team of Colliers International in the Amsterdam office. Here he is involved in both hotel consulting as well as buy-side and sell-side hotel transactions. Marieke gained experience in the hotel industry while working for Marriott International for several years following her study of International Hospitality Management. With Marriott, she worked in Sales & Marketing and Event Operations, gaining much insight into both the strategic and operational processes in the hotel industry. Marieke then completed an MSc in Business Administration at the VU University in Amsterdam and started with Colliers in 2015 as a trainee for the Hotels division. 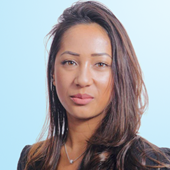 She now works with Colliers as Consultant and has worked on many projects in the Benelux, varying from feasibility studies and development advisory to brokerage. AREA OF EXPERTISE: Dirk has over 25 years experience in hotel operational consulting with a focus on database management & customer loyalty programs and hotel reservation systems in the global market. Dirk is a specialist in strategic management & marketing projects with clarity in vision and strategy, leading to tangible results. Focus on cross border assignments, leveraging extensive entrepreneurial expertise in Europe, the Middle East, India, Brazil and Russia. Dirk has expertise in fields such as multi country assigments, strategic marketing, International Business Development, International Private Public Initiatives, hospitality consultancy and corporate finance assignments. Spending 3 years in hotel development and real estate financing related areas he combined his expertise as a hotel operations specialist in his new role since late 2009 as Director Hotels for Colliers International in the Netherlands. Dirk incorporated the current Hotels division of Colliers International in the Netherlands and is a Partner at Colliers in the Netherlands. He also heads the Colliers EMEA hotels team within the Colliers EMEA region. 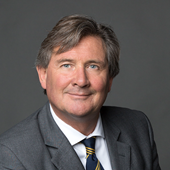 Since September 1, 2017 he is the Chief Executive officer for Colliers in the Netherlands leding a team of 330 professionals and 6 offices. As part of the last course at the Hotelschool The Hague, I executed and finished an internship at Colliers International in the Hotel department in Amsterdam, the Netherlands. During this six month internship period, I supported the team during projects ranging from valuations, feasibilities, hotel sale transactions, operator search and selection and contract negotiations. Besides my supportive role within the team, I was asked to investigate the impact Airbnb in the European hotel market. After my internship, I finalized and defended my thesis on the impact of regulations on Airbnb in the top European hotel markets. After succesfully defending my thesis and obtaining a specific grade, I was offered the job as Junior Hotel Consultant. Of course, I could not reject this offer. Two months after my graduation on the 1st of June 2018, I started my professional career at Colliers International. During his final year at Hotelschool The Hague Sander performed his internship at the Hotel Department of Colliers International, which included working for the company and executing a research. During those six months Sander supported his colleagues at the Hotel Department with all kinds of projects. Additionally he executed a research in which he tested the relationship between certain macroeconomic indicators and the demand for hotel rooms in Amsterdam. 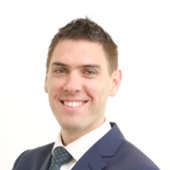 Since September 2017 Sander is a full-time member of the hotel team focussing mainly on feasibility studies, hotel transactions and valuations. Rewina has experience in working with highly trained professionals and their clients in a national and international environment. She has experience in successfully supporting the Executive Board and various aspects of marketing & sales. She is talented, practical and creative in organizing and dealing with pressure. Driven by connecting people and offering services. Rewina is enthusiastic, with great attention to detail. 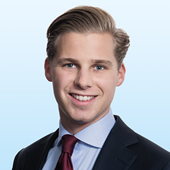 Jules is Director Transactions of Colliers International Hotels based in the Amsterdam office. He leads the team of professionals responsible for hotel investment advisory services in the Benelux and cross-border in the EMEA region. Before rejoining Colliers in september 2018, Jules succesully founded and managed Eminent Real Estate (a boutique real estate family office) from October 2013 untill September 2018. Before founding Eminent Real Estate Jules was Director of Capital Markets at Colliers International managing the Dutch investment services team out of the Amsterdam HQ. Previously he was the Managing Partner of the Eindhoven office. Before joining RSP/Van Boxtel & Partners Makelaars / Colliers International in 2003, he worked as a senior real estate agent/valuer at Clercx Liebau Bedrijfshuisvesting and Van Boxtel & Partners Makelaars, which came after the start of his career in 1995 as a junior real estate agent at Van Engelen Bedrijfsmakelaars in Eindhoven.